SM Entertainment and Mnet Media have been known for their tumultuous relationship ever since SME raised questions of standards against Mnet during SNSD’s “Gee” promotions. Since then, SME stopped supplying their artists’ songs to the company, and have boycotted all of Mnet’s events such as the “2010 Mnet Asian Music Awards.” Songs from Super Junior, SNSD, SHINee, f(x) and other SM Entertainment artists are still not available through the Mnet site. 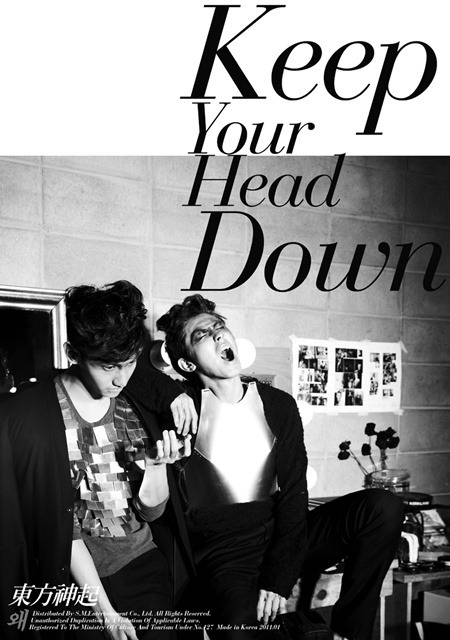 Yet the recent release of TVXQ’s “Keep Your Head Down” has raised questions regarding their relationship once more, but this time in a positive light. Mnet was the first music site allowed to distribute the song, leading many to speculate the two to be making up and moving on from past controversies. This entry was posted on January 4, 2011 by heedina. It was filed under Band, Boy Band, Girl Band, News, Solo and was tagged with MNet, SM, sment.